Geneva - In a comprehensive report issued today, August 13, 2017, the Euro-Mediterranean Human Rights Monitor criticized the travel restrictions imposed on Syrian refugees in some cities and villages in Lebanon, warning of security and humanitarian implications for these restrictions. The Euro-Med's report pointed out that these restrictions contradict the Lebanese constitution and the provisions of the UN Charter and the Universal Declaration of Human Rights. The Euro-Med noted that curfews against Syrian refugees are not new; rather they go back to August 2014, when night curfews were first imposed on Syrians due to the casualties among the Lebanese military and civilians following security tensions in the country. Euro-Med Monitor stressed that this policy and its following punitive consequences are still in effect and the Lebanese authorities took no measures to stop them, and that these measures escalate every time there is a security tension in the country. Lebanon hosts some 1.2 million Syrian refugees, living in extremely poor conditions and subjected to harassment by some Lebanese citizens because of the competition of the Syrian labor. Lebanon suffers from a fragile political and sectarian structure as well as the absence of government policies to regulate the presence of refugees. In Lebanon, 70.5% of Syrian refugees are below the poverty line and highly vulnerable to trauma; and most rely on humanitarian assistance. "The curfews imposed on Syrian refugees restrict their freedom of movement and there is no legal basis for them stated in the powers of the civil and municipal councils or laws in force in Lebanon," says Yahya Ashraf, a Euro-Med Monitor researcher. 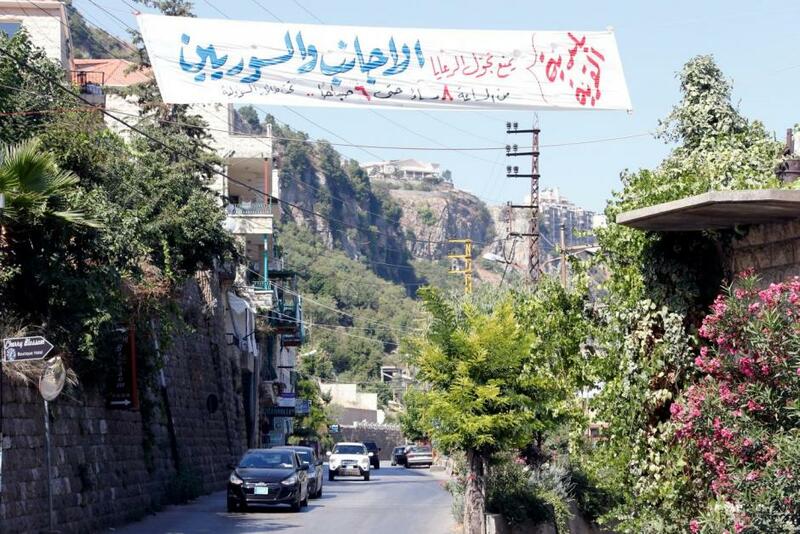 The report pointed out that these curfews have thier own punitive implications, including assaults on many Syrian refugees in different areas of Lebanon, beatings, raids and arbitrary arrests. All under the pretext of maintaining the social order from ‘risks’ that might occur due to the presence of Syrian refugees. The Euro-Med warned in its report of the refugees' reactions towards the Lebanese society and the public and private institutions as well as towards the community in which they live in, especially at a time Lebanon already suffers from chaos and the proliferation of weapons, poverty and unemployment among the Syrian refugees. The Euro-Med called on the Lebanese authorities to take the necessary measures to limit the adoptation of such restrictions, which only contribute to increasing the feelings of hostility against the Syrian refugees in Lebanon as well as the emergence of civil groups that would adopt security measures and issue decisions according to their own interests.